CONGRATULATIONS RICK!!! YOU DID IT!!! 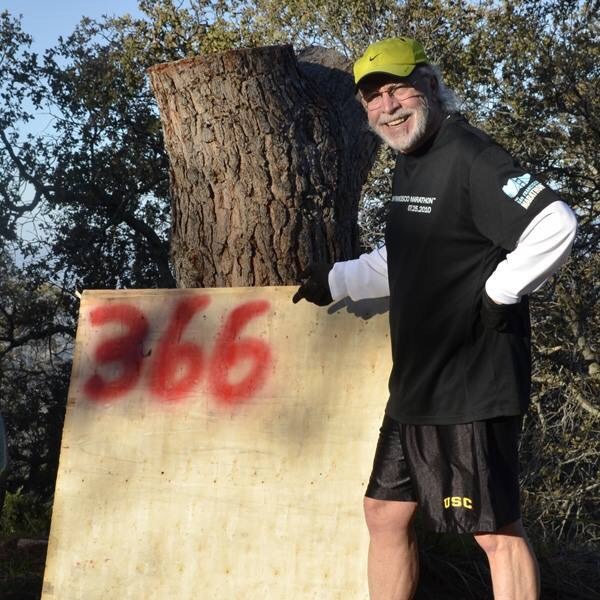 Having moved from the flatlands of Orange County to the foothills of the Sierra Nevada Mountains, I have found it difficult to walk out the door and face hill runs every time I was ready for a Run. I needed motivation to keep my training going on a regular basis. One day when I was browsing running sites, I came across the website http://www.runeveryday.com, a site dedicated to “Streak Running,” (running a minimum of one mile every day). I knew this was something I had to try. I immediately joined The United States Running Streak Association and on December 5, 2015, I challenged myself to run every day. I did have a few concerns. Even though I have been running regularly since 2005, starting to run every day at the age of 68 might not be the smartest choice, especially since I had been recently diagnosed with Adult Onset Asthma. Always one to accept a challenge; however, I decided to at least give it a try. I took it easy for the first month, only averaging 2 miles a day. But I was hooked and decided to go all in. I set the personal goal of running every day for a year AND attempting to run at least 1,000 miles. Starting in December was not exactly the optimum time weather wise to begin this challenge. I spent many days running in temperatures that were in the mid 20’s. I ran in rain and ice; 30 mile-an-hour winds; and zero-visibility fog. I also had to “work” through problems associated with Runner’s Knee, Plantar Fasciitis, and Piriformis, as well as a 2 day stretch when I ran with a 100.3 temperature. By limiting my miles and slowing down my pace, I was able to run through all of these “speed bumps”. Early on, I joined 2 separate Facebook groups devoted to streak running. The second best decision that I made! I start out every day reading the posts of fellow Streakers in England, Spain, Germany, Norway, Australia and all states east of California. Duly inspired, I’m fully ready for my morning run every day now. Looking back over my 10-year running career, I want to thank Coach Bob Gamez of A Snail’s Pace Running Store in Brea for talking me into taking that first step. Also to Coach Julie Payn (No Payn – No Gain!) who convinced me to take a few more! A big thank you to all my friends in my Orange County running club, Brea Runners. I still remember with fondness all the hours and miles that we spent together on the trails, streets, and sidewalks of Southern California. Karen and I will be in SoCal during Christmas, and my plan is to join you on one of your training runs. I’m looking forward to seeing as many of you as I can! Amazing Rick! You continue to inspire your Brea Runners friends. We are looking forward to seeing you when you visit OC. 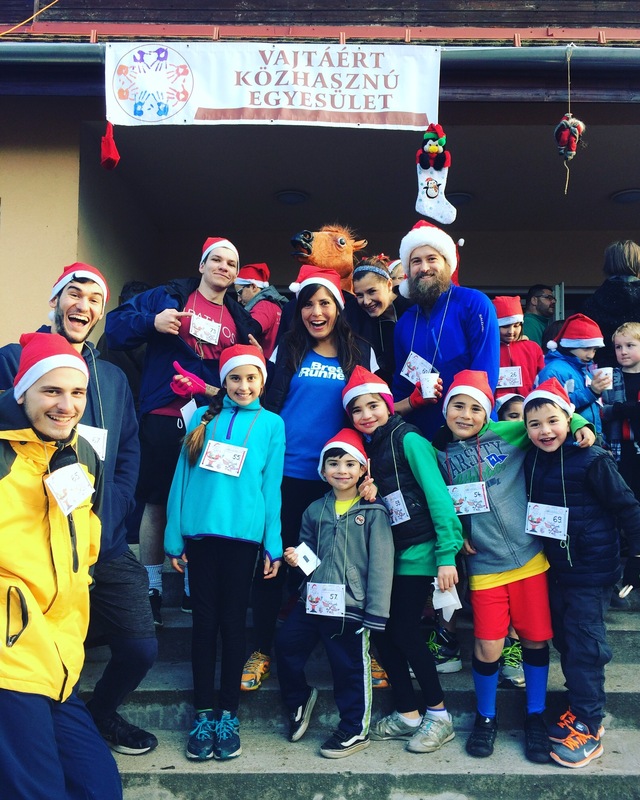 Kim, Sandi’s and Juan’s daughter, ran a short country race in Vajta, Hungary. Can you find her in the picture?